Australians are at last taking an interest in indigenous history and culture, writes Jane E. Fraser. Once considered the domain of international visitors, indigenous tourism is finally capturing the imagination of Australian travellers. Tourism bodies are reporting a surge in interest by Australians in indigenous tourism experiences, ranging from art galleries and rock art sites to visiting remote communities and taking part in Aboriginal festivals. The interest is being attributed to growing awareness of reconciliation issues, travellers looking for more meaningful encounters and parents wanting to teach their children about indigenous culture. And while there is some debate about how successful the Nicole Kidman and Hugh Jackman film Australia has been in promoting international tourism to Australia, there is evidence it has whet the appetites of Australians. Aden Ridgeway, chairman of Indigenous Tourism Australia, told the recent Australian Indigenous Tourism Conference in Townsville the movie had generated significant interest in indigenous tourism. Preliminary research showed the percentage of Australians interested in having an "indigenous experience" jumped from 40 per cent prior to the release of the movie to 60 per cent after the film's release (although Ridgeway says the long term impact is yet to be determined). This is backed up by figures from the Northern Territory's tourism body, Tourism NT, showing nearly 40 per cent of Australian visitors to its website are seeking information on Aboriginal tours or experiences. Tourism NT chief executive Maree Tetlow says research undertaken by Tourism NT shows most Australians feel they should know more about indigenous culture. "They said it is important to experience indigenous culture for reconciliation, with many parents commenting that it is important for children to be knowledgeable about Australia's indigenous culture," says Tetlow. "Tourism NT has noticed increasing demand for indigenous tourism experiences among Australian travellers. 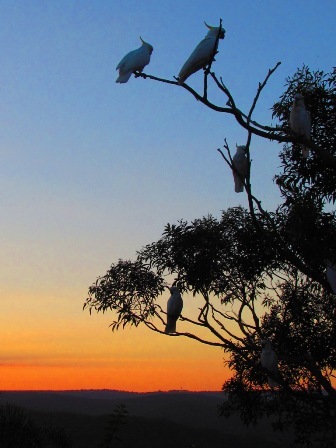 "In order to meet this, we are working with over 80 indigenous tourism operators who offer a range of experiences to visitors, from basic bush camping to Aboriginal arts and cultural centres." Tourism NT is developing three "indigenous tourism hubs", in East Arnhem Land, Alice Springs and Darwin, to give indigenous communities access to professional services that can help them develop tourism operations. This sits alongside the efforts of Indigenous Tourism Australia, which was created in 2005 to help indigenous communities access training, funding and business resources to create sustainable tourism businesses. Ridgeway says there are now more than 300 indigenous tourism operators in Australia, offering insights into both traditional and contemporary cultures. In an indication of the sector's growth, about 80 operators are being added to the National Indigenous Tourism Product Manual, which features quality, "market-ready" operations. Many private companies are also playing a role in the development of indigenous tourism, through partnerships, indigenous employment programs and charitable foundations. Voyages Hotels & Resorts has been a key player, funding the development of the now successful Anangu Tours at Uluru and running a popular Aboriginal artist-in-residence program at Ayers Rock Resort. A Voyages charitable foundation that collects donations from resort guests has helped improve health and education outcomes for the Mutitjulu community and the company has also sponsored the Red Dust Role Models program, which brings leading athletes to Aboriginal communities. Voyages also provides work experience opportunities to Aboriginal students, which has the dual benefit of giving the students a taste of working life while giving resort staff a chance to learn more about indigenous cultures. Tour operator APT Kimberley Wilderness Adventures is also working in partnership with Aboriginal communities, under an agreement that provides exclusive indigenous tourism experiences for its passengers while creating training and employment opportunities for Aborigines in the Kimberley region. The Wunan Foundation, which represents indigenous communities in the East Kimberley, says the partnership has been a great way for indigenous people to get involved with the tourism industry, as guides and at wilderness camps and lodges. Another successful indigenous tourism project has been Kooljaman at Cape Leveque in northern Western Australia. Kooljaman is an Aboriginal-owned wilderness camp, currently run by non-Aboriginal managers but working towards being wholly Aboriginal-operated. Many other communities have successfully opened up to tourism, allowing visitors to spend time in a community and learn about traditional practices. One such community is Manyallaluk, near Katherine in the Northern Territory, which receives thousands of visitors each year. Members of the alcohol-free community instruct visitors in basket weaving, traditional painting and spear throwing, while elders lead bush tucker walks and local artists exhibit and sell their paintings. The experience is ideal for families and popular with Australians and foreigners alike. 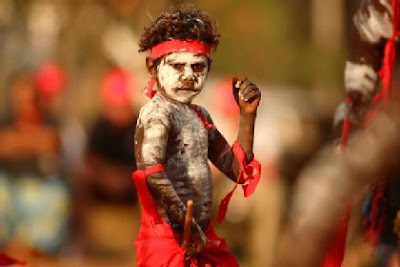 For a directory of indigenous tourism experiences, see www.indigenoustourism.australia.com. The term indigenous tourism tends to conjure images of Aboriginal rock art and outback adventures but the Torres Strait should not be forgotten. The Torres Strait islands, off the far northern tip of Queensland, face many challenges in attracting tourists, not least the time and expense of travelling there. For those willing to make the journey, either by plane or by four-wheel-drive up Cape York, unique experiences await. The Torres Strait islands are strongly influenced by neighbouring Papua New Guinea, creating a fusion of Melanesian and Australian Aboriginal cultures, and isolation has protected many traditions. The Gab Titui Cultural Centre on Thursday Island has won several tourism awards, while tourism developments such as the Poruma Island Resort give visitors a chance to mix with locals. For more information on the Torres Strait, see www.tsra.gov.au or search "Tropical North Queensland" at queenslandholidays.com.au.